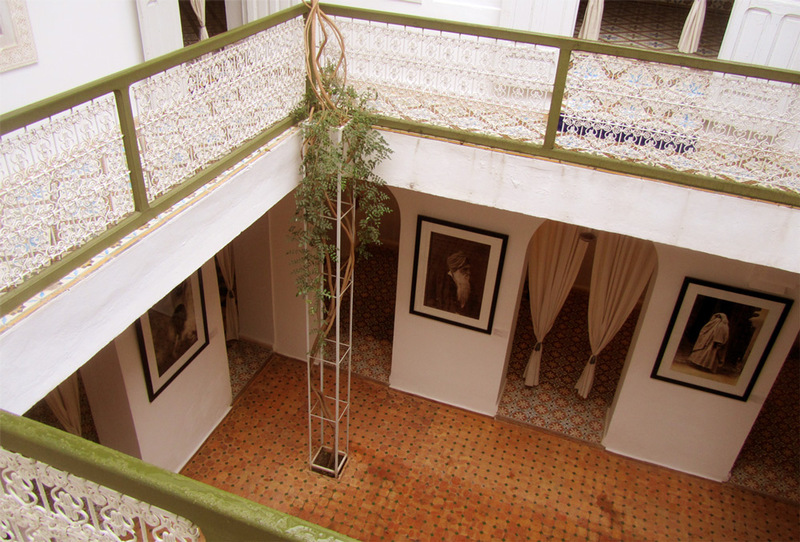 The Maison de la Photographie is a photo museum inviting you to a journey in time, back into the past of Marrakech. The changing exhibitions present treasures from the early days of photography. What did Marrakech look like a hundred years ago? How was life in Morocco at the end of the 19th century? 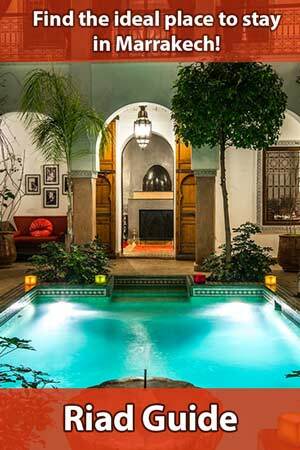 The museum is located in a renovated Riad in the northeastern part of Marrakech’s Medina, close to Ali ben Youssef Madrasa. After its opening in 2009, the museum has become an attractive refuge for enthusiasts of the arts and photography. Best of all: It is less frequented by tourists than the better known attractions of the city, such as Ali ben Youssef Madrasa, Bahia Palace, or the Jardin Majorelle. The museum has more than 8000 original photographs from a private collection, taken between 1870 and 1950. These photographs document the social, cultural, and technological changes in Morocco. On the other hand, they are also witnesses to rootedness, traditions and continuities that have survived in spite of the fundamental changes brought about by the colonial, modern and postmodern eras. At first glance, many photographs look as if they have been taken in the Medina just a few minutes ago. On closer inspection, however, you will notice details that seem to be out of time. There are many street scenes with venders, tanners, and turban-wearers, various animals being hawked on the market and also children can be seen operating the decorated well that you can still find in the narrow streets of the northern Medina today. The many historic photographs reflect not only the Moroccan life of the past, they also offer impressive insights into the history and technical development of photography. Apart from the historic photographs, the museum also presents younger works of Moroccan photo art. On the upper floor, you can watch historic documentary films from the 1950s. A small side exhibition documents the renovation of the riad housing the museum. After a complete tour of the exhibition, you will sooner or later reach the roof-terrace. Here, you can relax and have a drink, a snacks, a tajine dish or the special of the day while enjoying the marvelous view of the city and the snow-covered peaks of the High Atlas. The Maison de la Photographie is a fascinating place – not only for art enthusiasts. The historic pictures show the history of Morocco and the social changes of the past 150 years impressively. Moreover, you will find the artworks of contemporary Moroccan photographers displayed here. 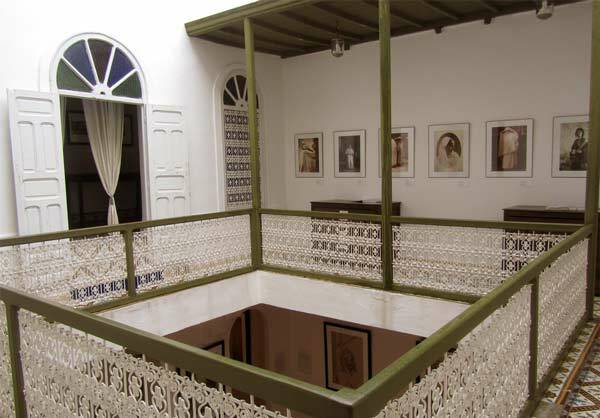 This places the Maison de la Photographie next to the MMP (Marrakech Museum for Photography and Visual Arts) as one of the most important addresses for friends of photo art in the city. Prints and post cards made from several photographs on display can be bought at the entrance. Information about current exhibitions is available on the website of the Maison de la Photographie. 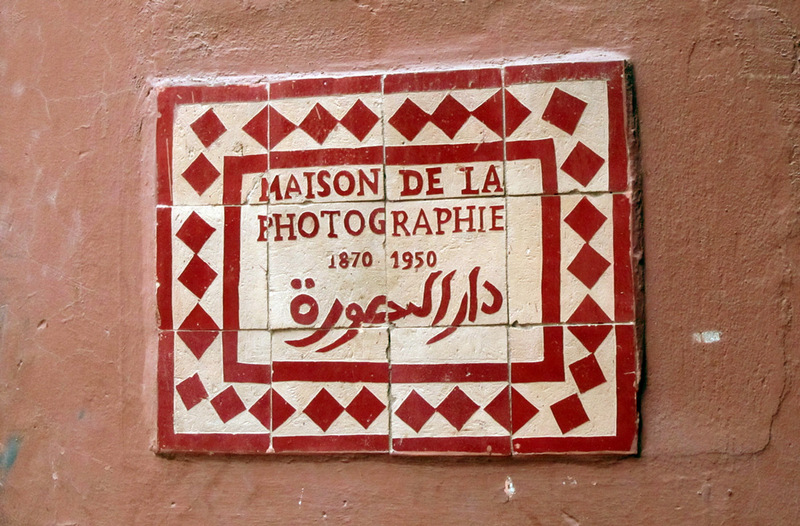 The Maison de la Photographie is in Rue Bin Lafnadek, close to Ali ben Youssef Medersa. Coming from Jamaa el-Fna, just follow the road after passing the Medersa for several hundred meters. 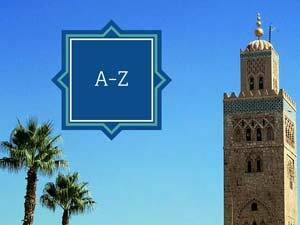 You will find the Riad on the left-hand side. The Maison de la Photographie is open daily from 9.30 am to 7 pm. Admission is DH40 – and free for people younger than 16. 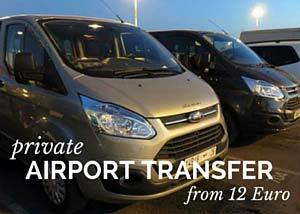 Moreover, tickets are valid for more than one visit. In addition, there is an interesting cooperation with a renovated Riad located close to Mouassine Mosque: On presenting your ticket for the Maison de la Photographie, you will get free admission there.